Before joining Rusch Entertainment, DJ Daniel Scott worked with three other DJ companies. 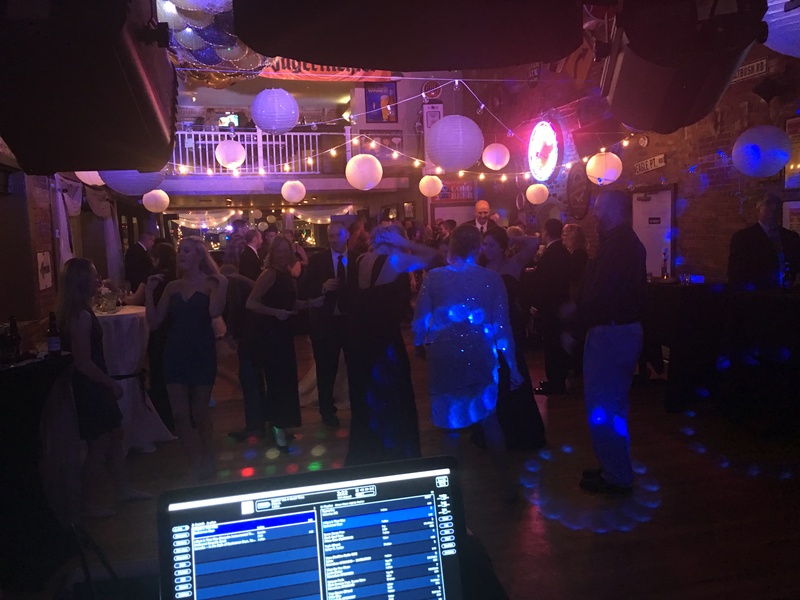 (Sound Productions, Flip side & SGP) When Daniel outgrew these he joined Rusch Entertainment, Michigan’s #1 Wedding DJ & Band company! 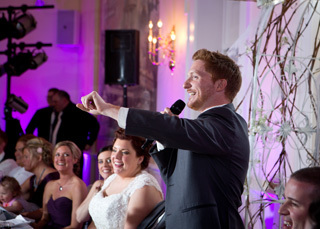 This affords him a wealth of experience to make your event a success. Daniel is also a professional music educator, so he knows music! 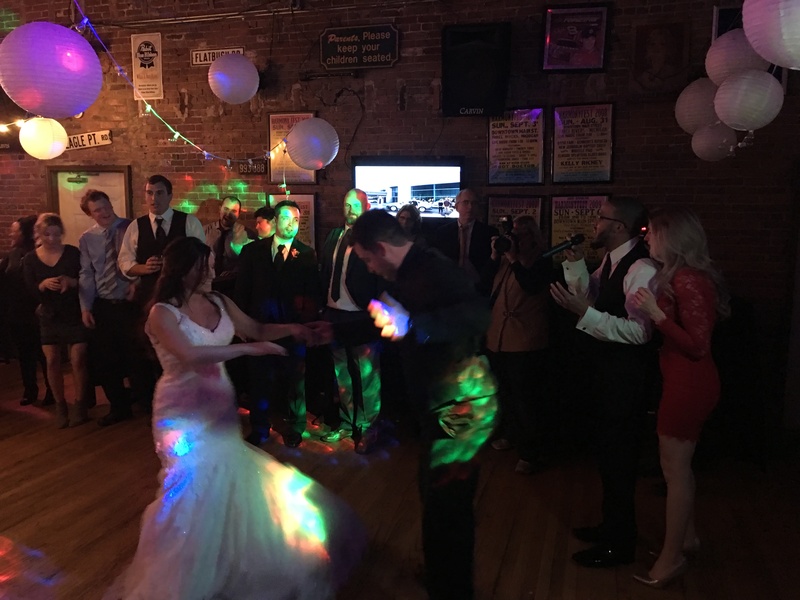 Always fun, always professional, and always ready to go the extra mile to make your special day everything you’ve dreamed of. 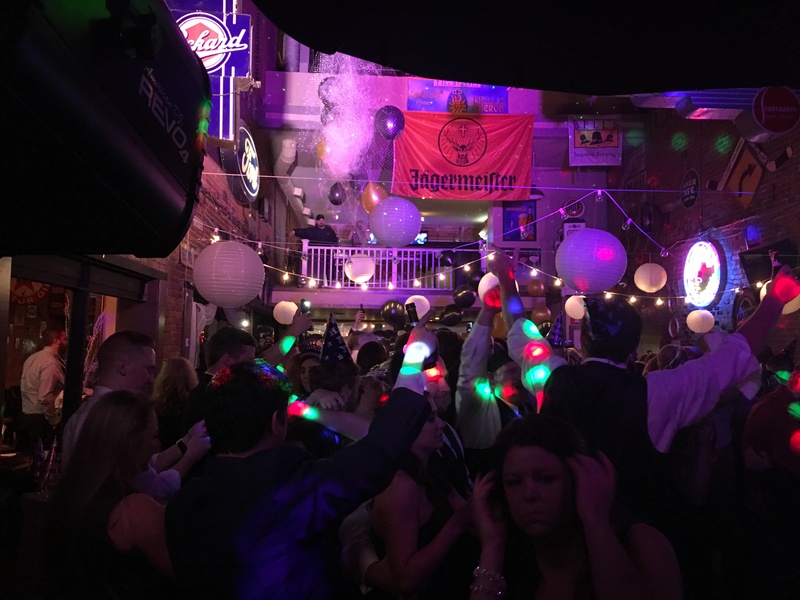 Thank you for making last night so much fun! 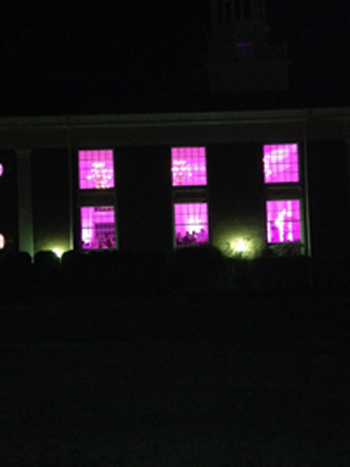 You guys did an awesome job! 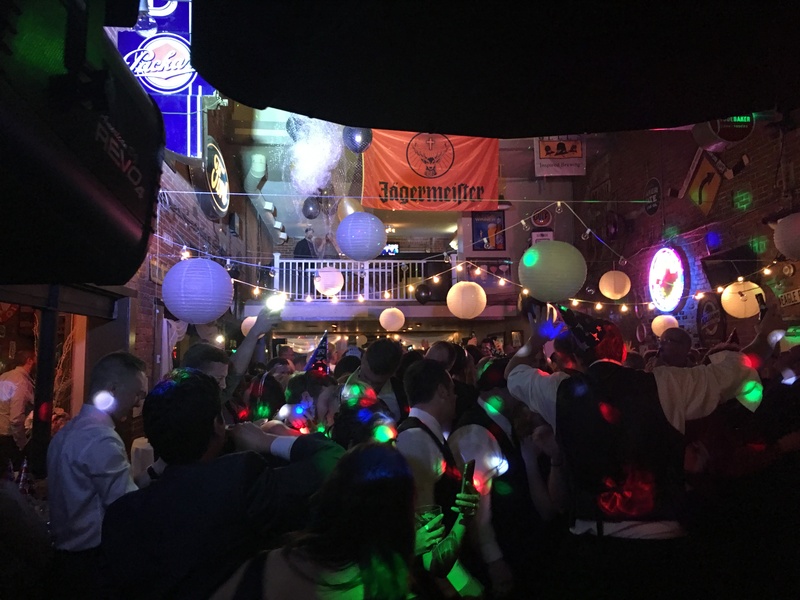 We have had a lot of people tell us how amazing our DJ was. Really appreciate it! Happy New Year! My husband and I got married in June 2018 in Traverse City! 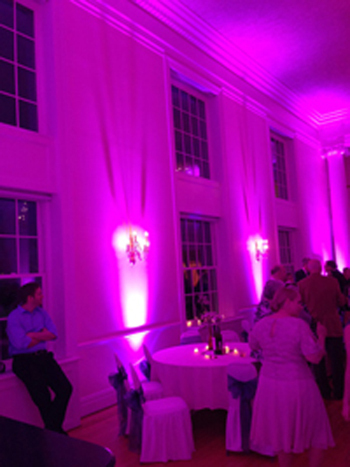 The DJ was Dan part, of Rusch Entertainment. He did an amazing job! He was professional, attentive, and really played everything we wanted and more! Dan is Definitely well worth it! We LOVED DJ Dan!! Everyone did! 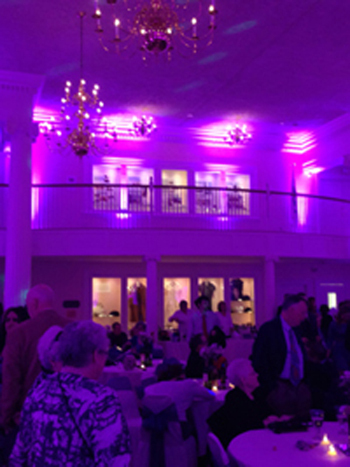 West Bay Beach Holiday Inn Resort, Traverse City for about 125 guests. 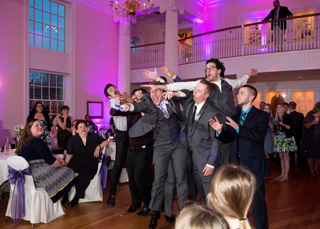 I am attaching some pics from our wedding with DJ Dan in the background! Dan Scott was a pure joy to work with. A genuinely nice guy, he did a great job of catering to our (slightly unusual and very diverse) taste in music. He also did a great job as an MC, and even asked for little details about each member of the wedding party so he could say something about them as they entered! He was thoughtful and continuously checked in with us when he had a question, such as whether to play a certain requested song he wasn’t sure we’d like. 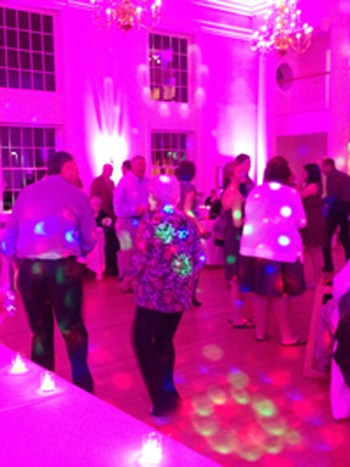 We had people dancing from the very beginning to the very end – everyone from the kids to the grandparents. Super professional and a fantastic experience. Dan Scott was fantastic! He showed up early, consistently communicated with us throughout the day, and made great music choices based on our preferences. Thanks so much! Amazing!!! 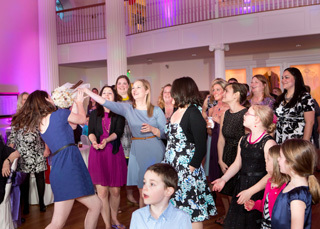 Guests were raving about how amazing our dance party was all night. Thank you to Dan Scott and his partner who were incredible all evening. They met with us a month before the wedding to go over all of the logistics for the big day. They coordinated the music and set up for the ceremony, they emceed the entire evening and did an amazing job. The timing was perfect all night and they stayed on schedule the entire time. I really appreciated how thoughtful they were with our music preferences — my husband is Indian and they mixed in a bunch of Indian songs that we sent to them prior to our big day. They were so thoughtful with requests that I had all evening. Honestly, so many people were coming up to us and complimenting them. Please don’t pass them up as DJs for your day. 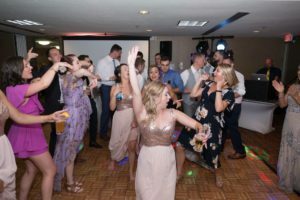 There are too many brides I know who have awful experiences with DJs, but you won’t go wrong with Dan Scott and his partner. Thank you, Dan! Without you guys, our wedding would not have been nearly as good as we dreamed it! Dan was AWESOME – Perfect cocktail music. Dance floor was packed from start to stop. Made their night so much more special. Dan was a blast. Photobooth girl was a blast. Longest married couple dance was great. Dan was AMAZING! We cannot say enough great things about him! He was flexible, entertaining, worked with the crowd and had a good flow of music the entire night. Truly a job well done! 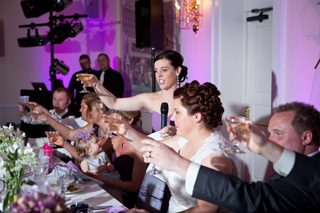 Dean, I just wanted to say we really enjoyed Dan Scott as our dj at our wedding. He was great and we got lots of compliments. Thank you for working with us. Wow it was perfect … couldn’t have asked for a better DJ. He (Daniel Scott) was polite and very accommodating! 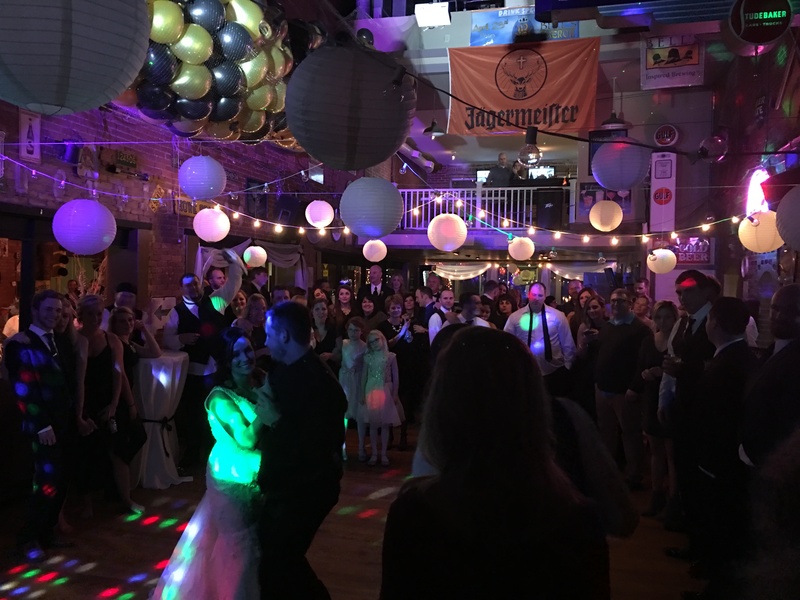 I can’t thank you enough for sending such a wonderful DJ for our wedding reception! Dan was everything I expected and more. You could definitely tell he had been doing this for years, and NEVER once did I question what he did or how he did it. I have to mention one instance where I think it really shows Dan knew what he was doing. He had started to call up guy volunteers for a game that we were about to play, but we didn’t have the blindfold. So while I went to go grab it, he had them do the YMCA. Everyone in the crowd thought the boys had planned it and thought it was hilarious. Talk about being quick on your feet! He didn’t just stand there waiting for me nor did the guests go “whats going on?” The entire reception went so smoothly and it was so energetic! 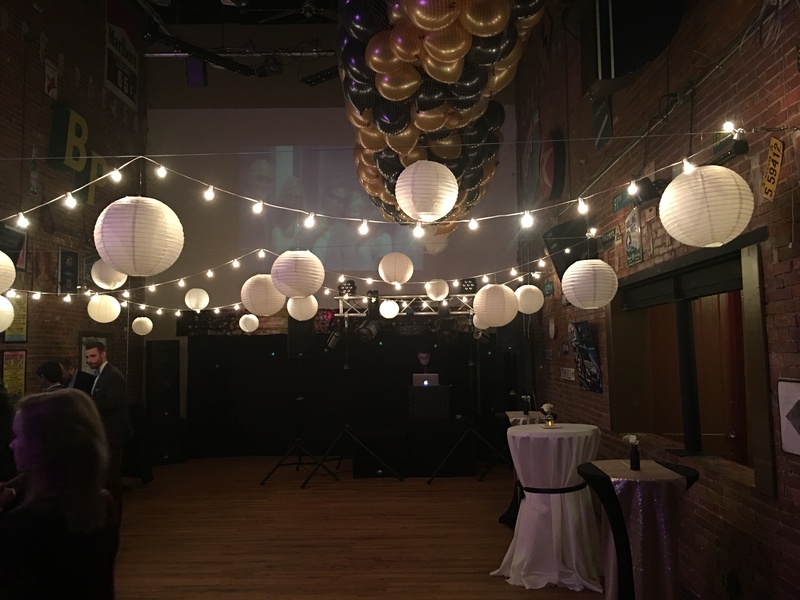 Anything my husband and I had wanted for the reception he knew exactly what we were talking about or made sure to give us advice on what might work better, and I tell you what, I am so glad I listened to everything he suggested! I could go on and on about how fabulous Dan was, but I’m sure you are already aware! Thanks Dean for all of your help and THANK YOU DAN for being a LARGE reason why our reception was AWESOME! I would like to thank you and your staff for making this part of the wedding planning process so incredibly easy. From start to finish, everything was fantastic! The ceremony and reception planning forms covered details that I would have never even thought of. Our DJ, Dan Scott, was amazing! He called to check in with us and review our planning forms in plenty of time before the actual event. As we made little changes to our ceremony and/or reception during the final week, he went with the flow and adjusted everything for us. 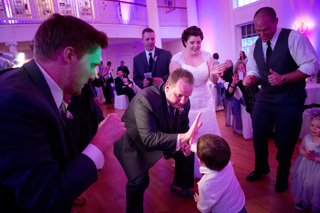 We had some hiccups come the wedding day but the minute Dan stepped in, everything was back on track. He really put my husband and I at ease. We kept it pretty open to types of music we would like played and had Dan fill in what he thought would best for the cocktail hour, dinner, and later in to the reception. Not only did he meet our expectations, he exceeded them. 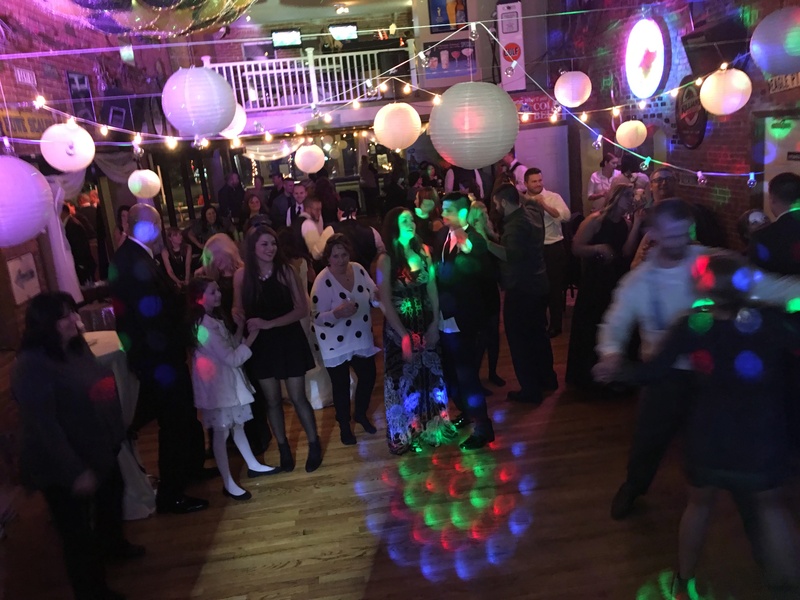 Our friends and family are still talking about how much fun they had out on the dance floor! 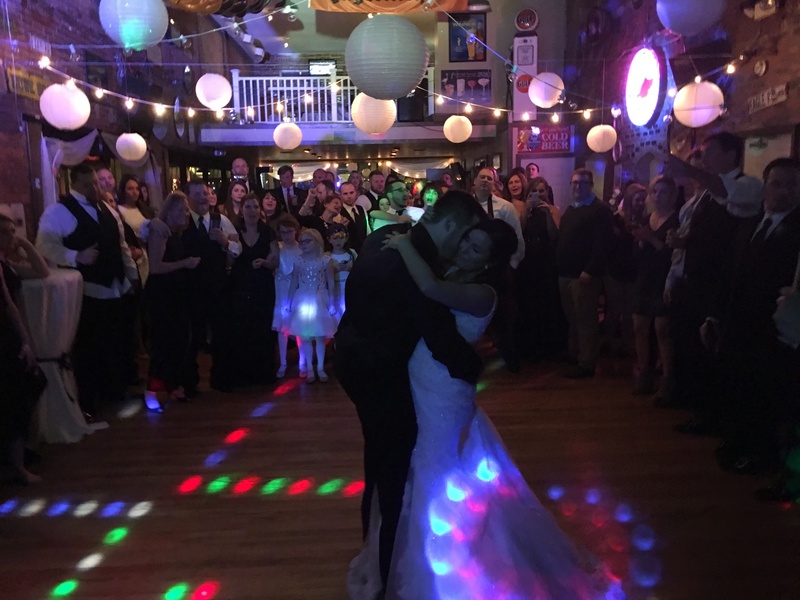 We really can’t thank you, Dan, the rest of your staff enough for helping to make our wedding the best night of our lives! We will definitely be recommending your company in the future! Thanks so much! Dan was wonderful and everyone had a great time. Thank you for checking in! The day was perfect and from the ceremony, during the cocktail hour, music at dinner, and dancing at the reception….Dan was awesome and everything went fantastic. He made it fun and we received a lot of compliments on the entire day. Thank you again! I originally booked another DJ however after hearing negative comments I decided to change vendors and hire Rusch. 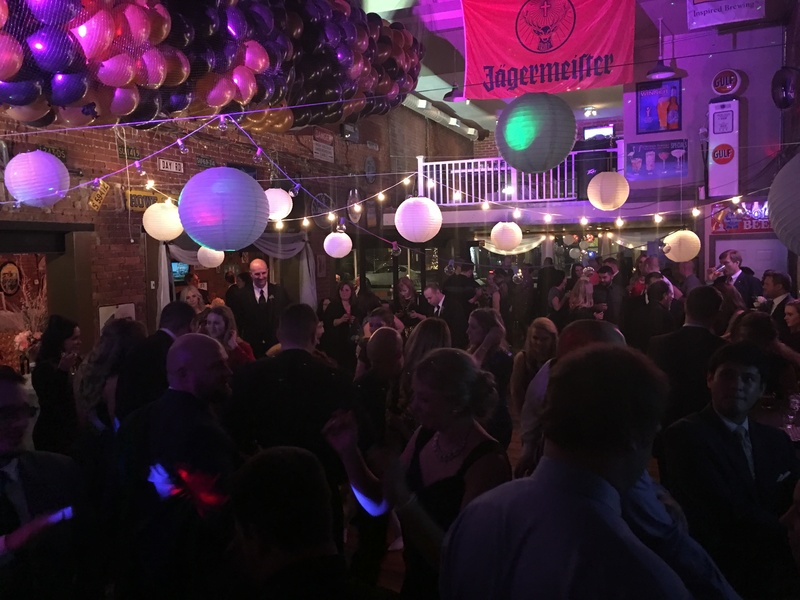 Rusch helped me out in numerous ways, 1. they gave me a great deal since I had lost out on my deposit with the other company 2. they gave me an awesome DJ, Dan Scott! 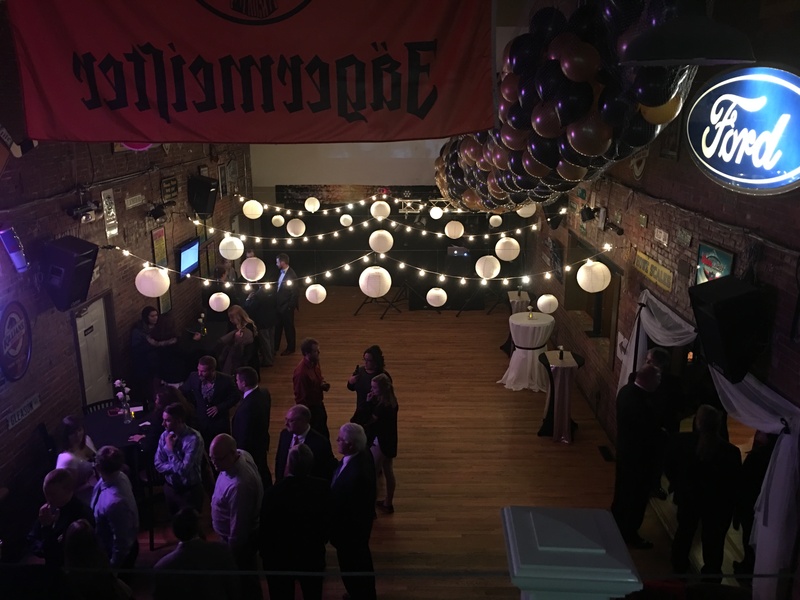 We had so much fun with Dan, we couldn’t have asked for a better reception! The dance floor was packed (literally) all night. Our venue actually had to ask him to finally stop playing because it was so late and our time was up there 🙂 The banquet manager told me ” I have never had a dance floor this packed this late”! Rusch is the way to go, you won’t regret it, that’s why they’ve been in business so long. Thank you Rusch and Dan Scott specifically!!!!! He (Dan) was perfect. He kept the party going and helped with the flow of events. Thanks for everything! 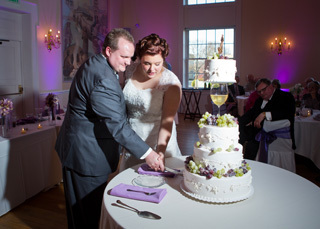 Thank you for booking Daniel Scott for our wedding at Knollwood Country Club. 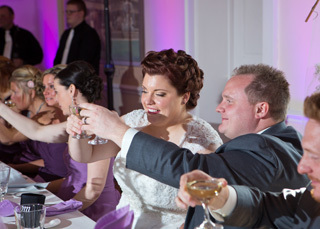 Dan did an awesome job at our wedding reception! We couldn’t have been more pleased. 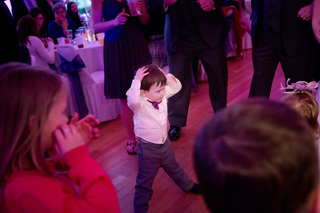 He ended the evening with a clip from our “first dance’ song. He played our requests and requests from guests. He was flexible and very easy to work with. 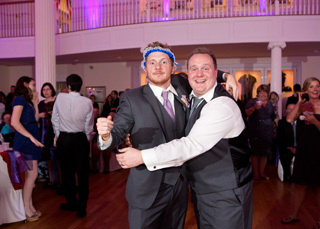 I met Dan at my brother’s wedding and saw him again for my cousin’s wedding a few weeks later. 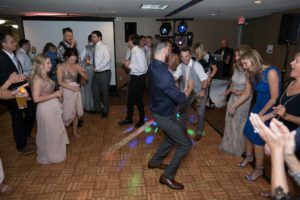 As my husband and I were planning our own wedding at the time, we noticed the great selection of music Dan had as well as how he kept the guests engaged and entertained – but not in an over-the-top, tacky way that we had witnessed at other weddings! 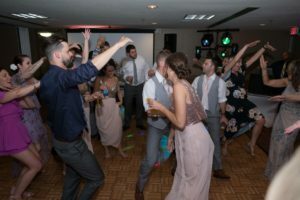 We actually contacted Dan to DJ our wedding, but decided to let a friend who dabbled in DJing do it instead, thinking we could save some money. 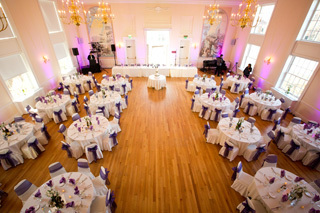 This is one area that should be left to the professionals on your wedding day! Our friend called us the day before the wedding to let us know that there were problems with her music library, so my husband spent the day burning CDs for her and then creating a list so that she knew what music was located where. This created a lot of stress and hassle when we already had things to wrap up before our big day. Turns out that the difference in price was only about $100 – something I would have gladly paid to have everything run smoothly! If I could do it over again, I would certainly have hired Dan instead. Dan DJ’ed a MS Dance for me and he did a fantastic job. He was very wise in choosing appropriate music for the age and used a wide variety of selections. In the three hours the dance was going on I didn’t hear the same song twice. He took requests and even interacted with the crowd. I will be using him in the future! Dan was an awesome DJ! He did a great job of “reading the crowd”. He played exactly what we wanted and played plenty of requests. He was flexible, to arrange things around to accomodate the timing of us arriving. Overall, he did a fabulous job, I have nothing but great things to say about him! If I even needed a DJ for an event I would definitely ask for him.